Charlotte, N.C., March 17, 2017 –- Syntelli Solutions proudly announces Chief Technology Officer, Shikha Kashyap, has been honored as a 2017 Women in Business Achievement Winner by the Charlotte Business Journal. Shikha is a founding member of Syntelli Solutions. She has over 20 years of experience delivering advanced IT solutions and has helped build the company to include over 30 employees. Most recently, she has helped build the DatRev Platform that has provided tremendous business insight and has allowed clients to monetize their data. “I am humbled and honored to have been recognized by this city, I call home and in the company of outstanding women leaders. 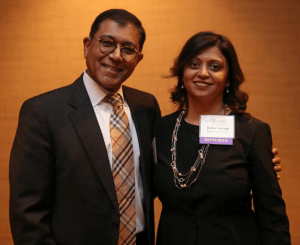 This is a great recognition of my contributions to Charlotte in general and to the technology community in particular,” said Shikha.